Once upon a time in 2007 in the town of Svaneke on the small Danish island of Bornholm in the Baltic Sea, there was a man of twenty-three by the name of Johan. His mother had raised him to create something, not just something to make a living from, but something created from the heart. There was no doubt in Johan's mind. He loved liquorice and was convinced that a whole new world of pleasure lay hidden inside the crude and fibrous liquorice root. Liquorice could not only be used in sweets, but also in savoury dishes, baked goods, beer - actually this fine spice flourishes in many forms of food and drink. 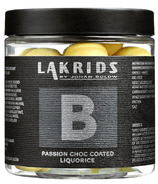 Johan dreamt of elevating liquorice to the level of a gourmet experience. Johan imagined himself stirring the pot of boiling liquorice and letting people smell and taste his creations while watching the manual production. Johan's vision was to share the magical qualities of the mighty liquorice root and combined it with carefully selected ingredients to create this natural delight that everyone can indulge in. 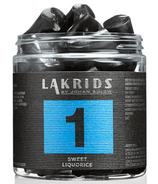 At present they share their love for liquorice with the good people in Sweden, Spain, Italy, Norway, Finland, Germany, Iceland and Dubai. In Johan's opinion, too much of the world is still missing out. 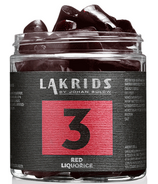 His vision for the company is to spread his love for liquorice around the globe. 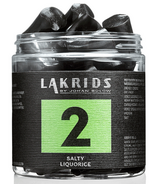 Not only the sweet kind, not only the salty one, but the whole spectrum of flavours that can be achieved when using liquorice as a spice.